My two kids and I love sandwiches. I make homemade bread weekly and every week my kids and I fight over sandwich ingredients. We all have a major peanut butter craving and I am not afraid to say that peanut butter is probably one of my favorite foods. I have tried giving it up over the years, but I always go back. My peanut butter obsession seems to go back to when I was little and we had very little money. We had to stand in the line at the church food line and the best part of the experience was the peanut butter. It came in huge jars and I loved it. I would literally eat it out of the jar with a spoon, sometimes actually squirting honey into the jar to combine and eat. Now that I'm older, while I still love peanut butter I have forced myself to branch out and try new sandwich combinations. One of my favorite sandwich fillings is grilled chicken, so I was very excited when I saw a recipe for Chicken Shawarma in the March/April issue of Eating Well magazine. This recipe has 13 ingredients. It takes a total of 45 minutes, all of which is active and makes 4 servings. I had no problems finding any of the ingredients and made no ingredient modifications. 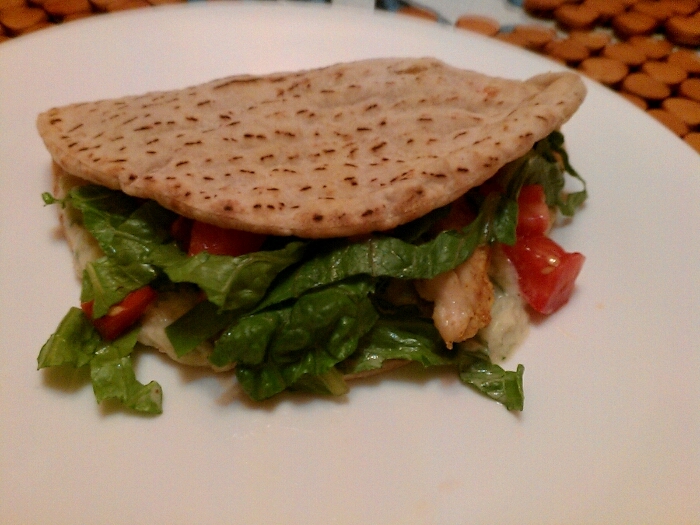 I chose to use whole wheat pita bread, I try to use whole wheat whenever possible. I found a beautiful tomato at the farmer's market which worked perfectly for this recipe. Since I used an indoor grill my total grilling time was closer to 4 minutes per side. I weighed out my chicken breast to ensure proper amounts, I encourage anyone that doesn't have a food scale to buy one. They really are worth the money and can make a huge difference in recipes! Normally I would have used fresh lemon juice, but I completely forgot to buy lemons, so I used bottled instead. I followed the remainder of the recipe as written. My three-year-old loved these sandwiches. I wasn't sure if he would eat the sauce or turn up his nose, but he ate his whole serving. At first I thought that the chicken was too salty, but once the sauce was added to the sandwich the taste was perfect. The recipe states that it makes four servings, but my family eats a lot of meat so this dish made more like 3 servings. I would suggest doubling the recipe if you have a meat eating family like I do or if you want leftovers. Overall, a popular new sandwich recipe in my house. For the recipe go to Chicken Shawarma. 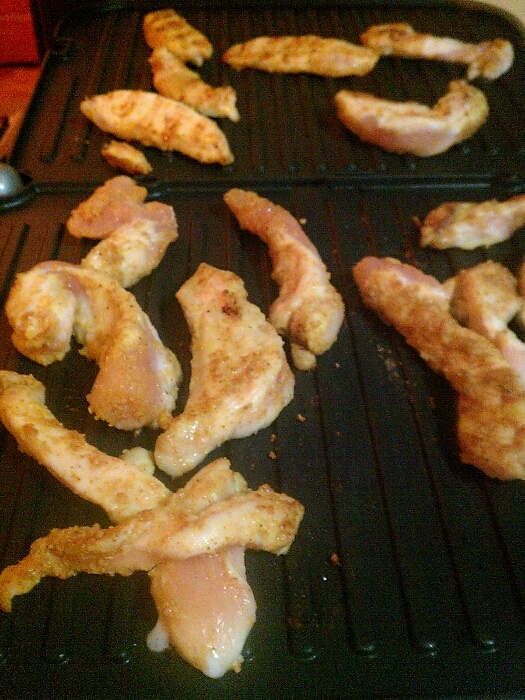 Oh, I love chicken shawarma but have not made at home before. It looks great!!! Thanks :) It was very easy and my youngest absolutely loved it! I love sandwiches too, this looks great! Sandwiches are the best, love them! We go through like 3 jars of pb a week. I understand. Thanks for linking this in. Isn't there a neat collection of recipes?